Party season is well and truly upon us, so there’s no better time to finally master the smokey eye look. Wearing dark eyeshadow when you’re not a make-up whizz may sound like a recipe for disaster, but given the right guidance anybody can master this technique. 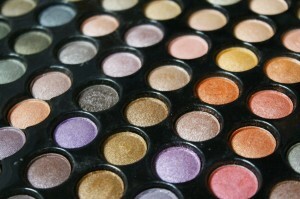 To help keep your eyeshadow from smudging halfway through the night, use a primer specifically designed for eyeshadow. Dark circles will make you look more bruised than sultry, so make sure you conceal them with a creamy concealer. Use a translucent powder under the eye too, this will catch any loose particles of eyeshadow when you apply it so you can simply wipe away any excess with a tissue. Using your favourite eyelash curler, give those lashes a big squeeze for around five seconds. This will open up the eye area and add a little drama. Use a small brush to apply your dark eyeshadow of choice from your lashes to your crease, taking a little of the colour under the eye too. Remember, you don’t have to stick to black – navy, dark greens and purples are perfect for Christmas. Next, use a blending brush to softly smudge the edges of the eyeshadow, the key here is to avoid any harsh lines. Use a black eyeliner for added definition, applying it along the top and bottom lash lines. Ensure you use a long-lasting formula to avoid it smearing, and blend out with a cotton bud for a smudged look. A touch of highlighter under the arches of your eyebrows and in the inner corners of your eyes will add a little sparkle to this look, ideal for special occasions. To complete your look simply apply a couple coats of mascara for definition and volume. If you think you could do with some make-up tips, why not have a lesson? Use our search tool to find a make-up professional near you.